I’m loving the new homeware items available in shops this season. Everything seems so much more colourful when the sun comes out! I still need to take a trip to Ikea, but it always seems like so much effort. I can’t help but buying cute little things for the home if they’re a good enough price. I probably don’t need half of the things I buy, but they’re just so sweet! I could spend hours browsing around being inspired by beautiful interiors. I’ve recently come across some stunning shabby chic floral wallpapers which make me wish I had a blank canvas room to redecorate! 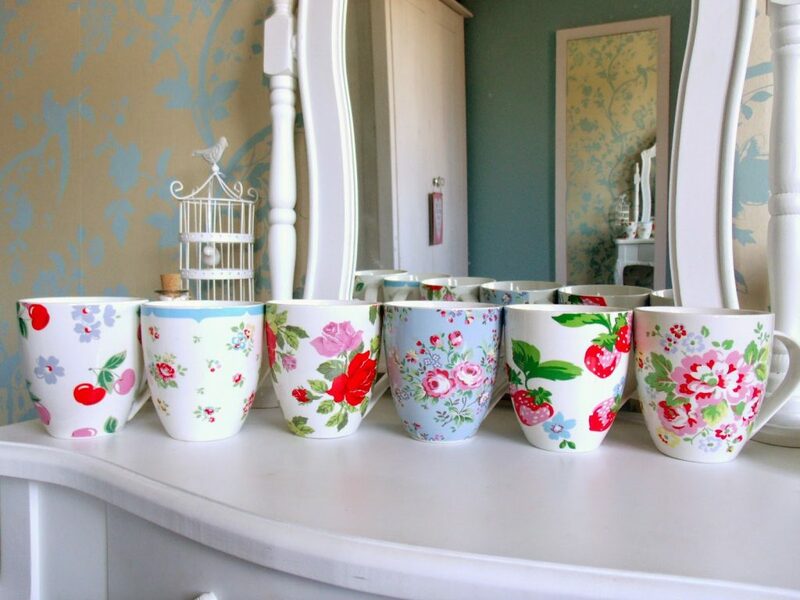 I’ve recently grown my collection of Cath Kidston mugs that I’ve been accumulating over the last few years. To be honest I don’t often use mugs as I’m not a hot drink drinker, but I love these oversized crush mugs from Cath Kidston. I have one on my desk which I keep pens in, and one for work. I tend to buy them from Amazon where they’re often discounted and free delivery too. I have a bit of a fetish for cake stands and I’ve got more than enough, so now I’ve moved my obsession onto cake slices instead! 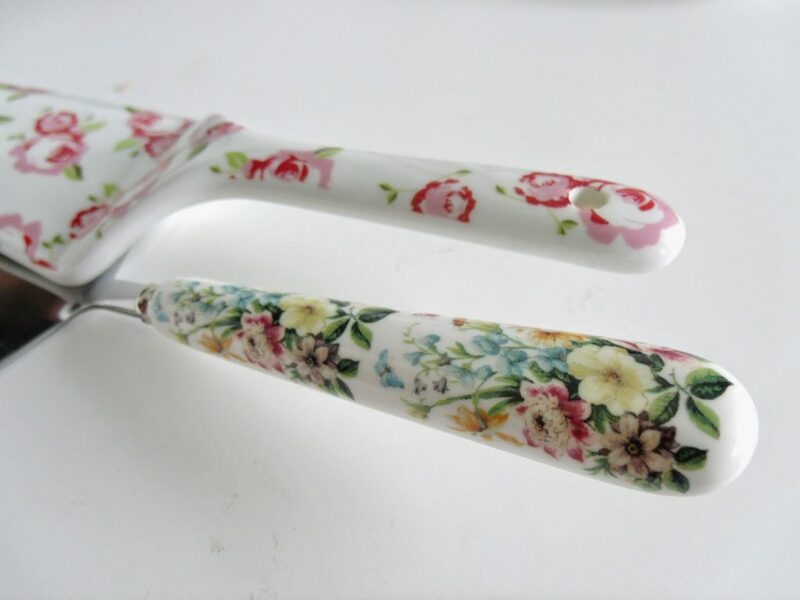 Why use a normal butter nice when you cut cake when you can use one of these beauties! I bought both of these off Amazon too. 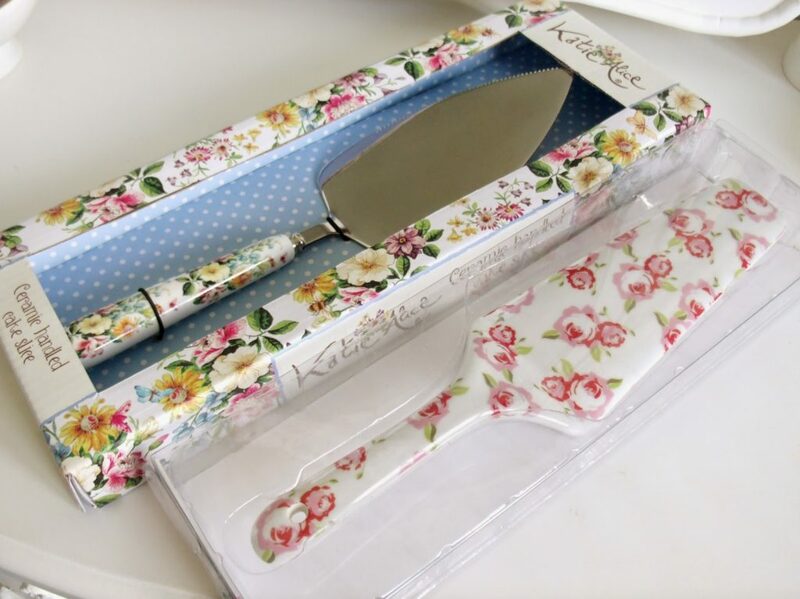 The one with the floral ceramic handle and stainless steel blade is by Katie Alice and it was £9.99. This is probably more practical than the other, but the Floral Porcelain one was only £2.99! I love them both! 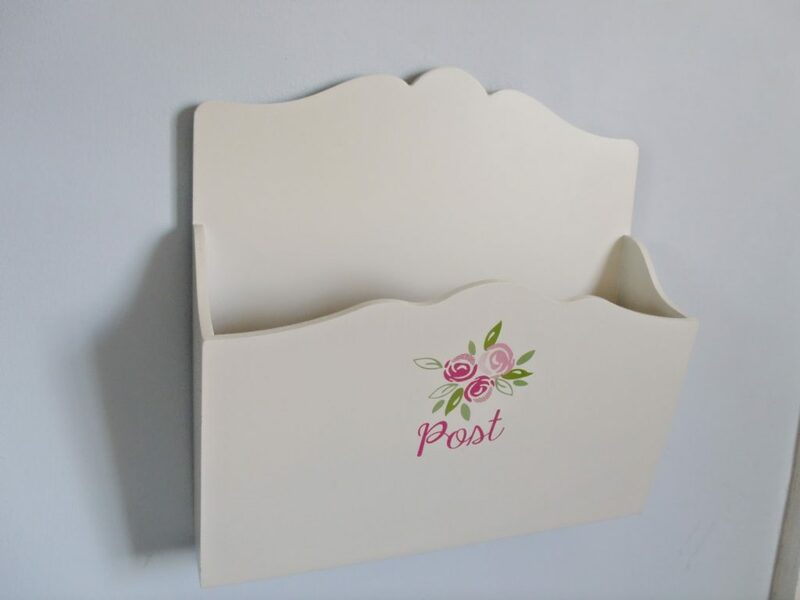 I had my eye on this Candy Rose post box from Dunelm for a while, and I finally got round to buying it recently! I’ve hung it on my bedroom wall next to my door and it’s really handy. I ask my Dad to post my letters that arrive in there, and I also use it to keep my ‘to do’ bills and paperwork. It’s quite handy to have and it’s so cute! It matches my bedroom decor too! On a casual browse around Home Bargains (it is possible to leave this store empty handed?) I picked up this tablecloth. 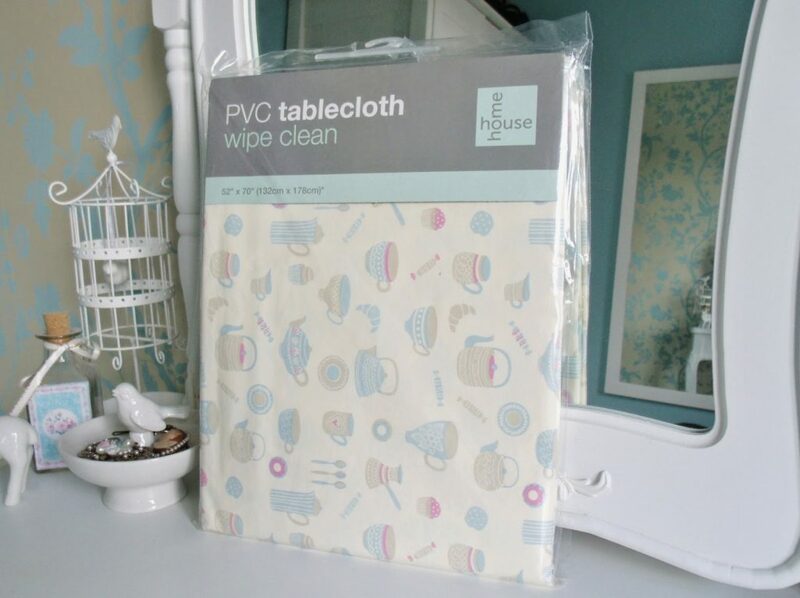 It was less than £3 (not sure if it was £2.49 or £2.99) which is so much cheaper than anywhere else for a PVC table cloth! It’s a big one too, perfectly fitting our dining room table. It has a cream colour background with an adorable kitchen print on it, featuring jugs, cups, teapots, and cupcakes. I’ve been looking for a cute beach towel for my holiday, but they all seemed to be over £10 which seems crazy for a towel?! 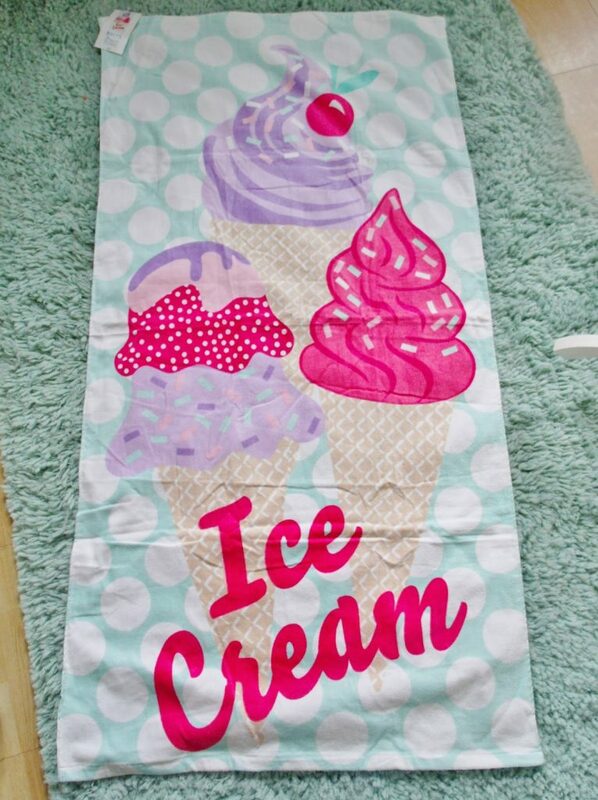 But I managed to find this ice cream towel in Matalan, which is possibly from the kids section, and it was only £6. I love the mint green polka dot background and hot pink print! More Dunelm bargains, I saw these two beauties on their clearance shelf which had a 75% off sign on. 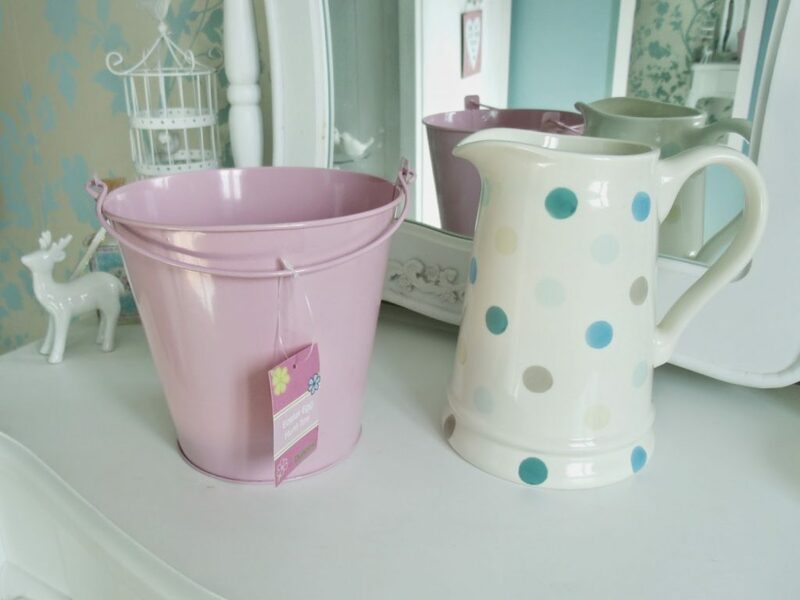 The pastel pink pail scanned through the till at 99p, and the polka dot jug was only £1.64!! I absolutely love the jug as it suits the duck egg blue colour scheme of my dressing room. Such a bargain! It’s amazing what you can find in the sales sometimes. And finally, although not much of a bargain, I bought these Cath Kidston wine glasses! They’re not actually made from glass, they’re acrylic, but they’re quite solid and look the part. They were £5 each, which is a bit crazy expensive really, but they were too pretty to resist! They will be nice to use for al fresco dining in the summer! Love the polka dot jug, very emma bridgewateresque! Home ware excites me far to much and when it comes to floral home ware I go crazy , far too much for someone that's 18! You have such gorgeous taste when it comes to home decor! You always get the best homeware stuff! Dunelm has so much lovely homeware in at the moment; I've been really impressed! 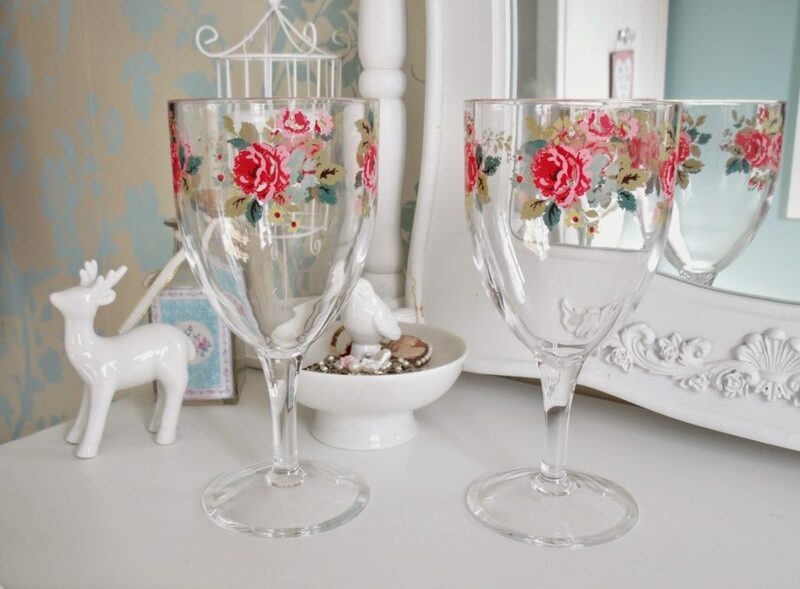 you always find such lovely items Victoria, I love the Cath Kidston wine glasses I need them in my life. 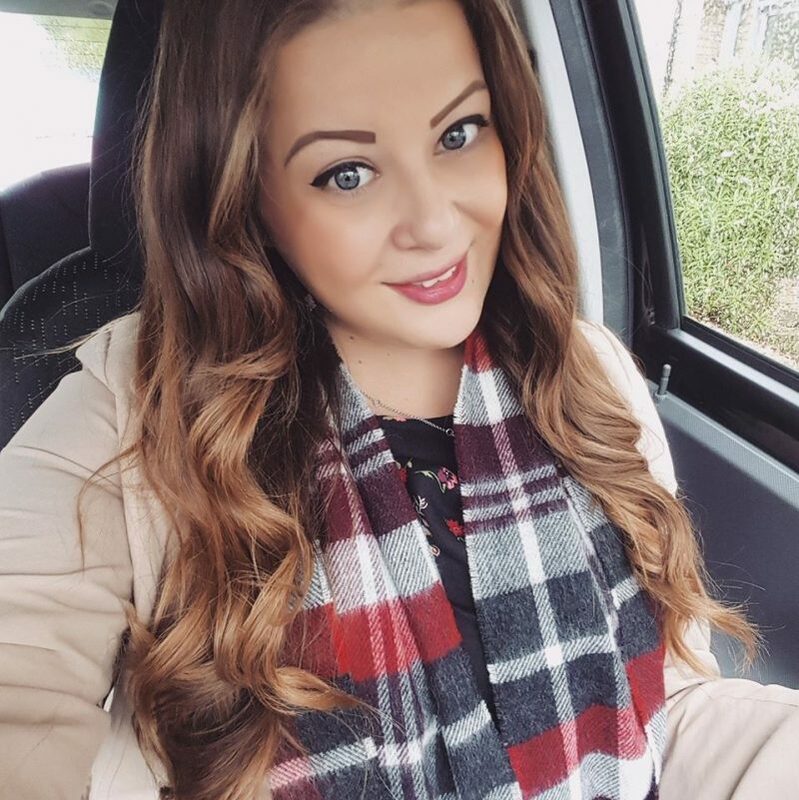 These are all so pretty – I love your taste in home decor 🙂 I'd like to get myself a nice Cath Kidston mug I think.